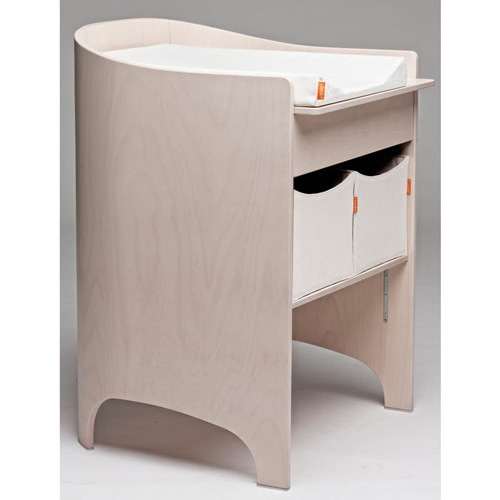 This sleek changing table, boasting a modern curve, is the perfect addition to your nursery! Featuring one drawer and two baskets for storing the basics, you'll find our changer supremely convenient. The changer includes the changing pad - so you're all set and ready for action! Can be converted to a computer desk when the changer is outgrown.